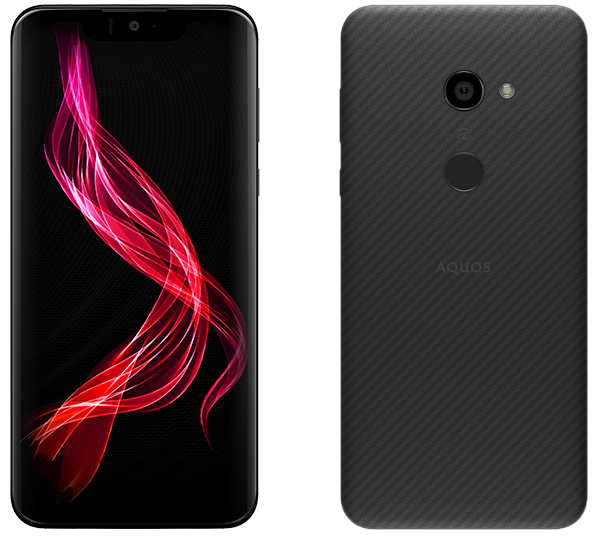 Even six months after the original announcement, the Aquos Zero continues to be the world's lightest smartphone having a screen of 6 inches or more, weighing 146 grams. For comparison, the 5.8-inch iPhone XS weighs 177 grams and the 6.5-inch iPhone XS Max 208 grams. The 6.1-inch Samsung S10 weighs 157 grams, and the 6.4-inch Samsung S10+ weighs 175 grams, while the 6.0-inch LG V35+ ThinQ weighs 157 grams. The savings in weight have been accomplished thanks to the utilisation of aramid fiber – used in aerospace and military applications, for ballistic-rated body armor fabric and ballistic composites, among others – for the back panel, and magnesium alloy for the side frame. The screen is protected by 3D tempered glass by Corning Gorilla Glass 5. These materials also guarantee extra strength and ridigity of the device. As showcased at the IFA exhibition in Berlin in the beginning of September 2018, the Aquos Zero has "full-curved surface design" where the display gradually rises towards the centre and contributes to "natural touch operations suitable for finger movement" and "comfort during extended use". The Aquos Zero boasts Sharp's first organic light-emitting diode (OLED) screen that achieves a high 1,000,000:1 contrast, and covers 100% of the DCI-P3 (digital cinema standard) wide colour gamut. Inherited from the Aqous R series is the smooth gradation and rich colour tone of the Rich Color Technology Mobile, that is the mobile version of the Aquos TV series. The Aquos Zero display also adopts the Dolby Vision HDR video and the stereophonic Dolby Atmos technologies for realistic image and immersive sound experience (it has two speakers – one on the top edge and one on the bottom) that was one of the main selling points of the summer 2018 Aquos R2. The display resolution is 2992 x 1440 pixels. Unfortunately, the Aquos Zero has the ugly and larger-than-necessary iPhone-style display notch at the top. In fact, the top bezel is so big that it could have easily housed the front-facing camera even without a notch. It is yet unclear if the new OLED displays are capable of supporting the 100 Hz refresh rate and integrated digitizer (in-cell) technologies that IGZOs boast. The Aquos Zero is powered by a Snapdragon 845 processor, has 6 GB of RAM, and 128 GB onboard storage (UFS type). This is the first Sharp phone that does not support extenal storage – the microSD slot has been ditched, perhaps in an attempt at further reducing the device weight. The rear camera (only one, unlike the Aquos R2) is again 22.6 megapixels, wide-angle (90°), f/1.9, focal length equivalent to 22 mm, optical image stabilisation, electronic hand-shake correction for video capture, phase-detection auto focus, high-speed-video capable sensor found on the Aquos R2), while the front-facing is 8 MP, wide-angle (90°), f/2.2, focal length equivalent to 23 mm. The selfie camera supports the Face ID owner recognition feature. One hardware improvement introduced with the Aquos Zero is Parallel Charging. This means the device now has two charging circuits intended to suppress heat generation and dissipate heat more evenly while charging, so that the phone doesn't feel like touching a hot furnace – and that you can enjoy games and videos while connected to the charger. This is the first Aquos phone in a long while to ditch the 3.5 mm phono jack, perhaps for design and weight-saving reasons – and to compensate for the lack thereof, Sharp are offering an adapter with it. The Aquos Zero is running Android 9.0. This is the first Sharp phone that has support for all languages available in Android as a standard. The Roboqul mobile stand is available as an optional accessory. which means it will work just fine literally all over the world. 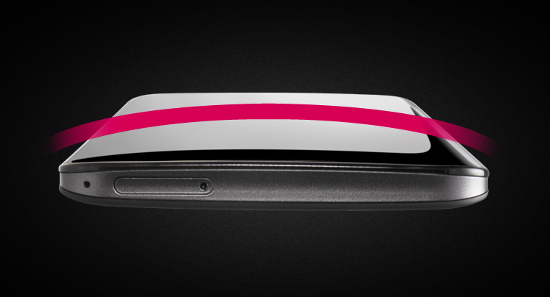 The fingerprint scanner is mounted on the back and doubles as a Home button. A menu settings makes it possible to hide the navigation buttons from the display and use the fingerprint sensor instead, a slide left, slide right, and press actions supported for Home, Back, and Recent Apps. The now standard for Sharp phones Grip Magic sensors are built-in, too. It comes with IPX5/IPX8 water-ingress protection and IP6X dust-ingress protection. The Aquos Zero measures 154 x 73 x 8.8 mm. Only one colour version of the SH-M10 will be offered, advanced black. The first Japanese operator to announce offering it is Rakuten Mobile. Prices will range from 81,000 to 90,000 Yen (727 – 808 USD) excluding tax (8%).